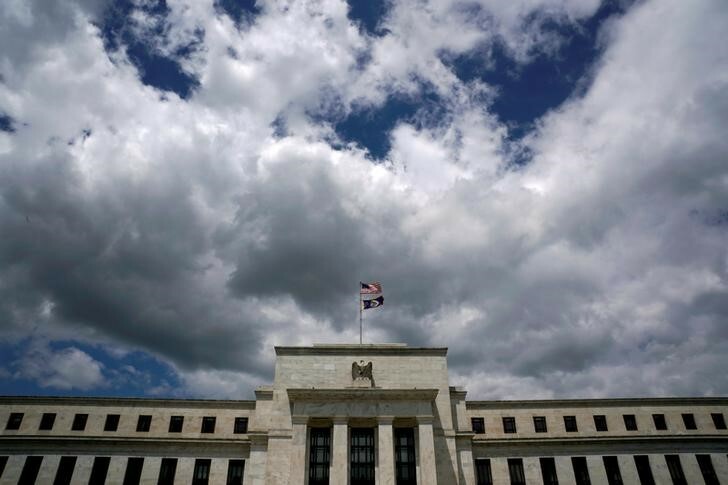 NEW YORK (Reuters) – The Federal Reserve’s next interest rate increase will mark a key milestone as the era of cheap dollars draws to a close, further unsettling a U.S. bond market already rattled by rising inflation and government debt supply. Next Wednesday the U.S. central bank will likely raise key overnight borrowing costs to roughly match its target for inflation, meaning that for the first time in almost a decade the cost of borrowing dollars will no longer be essentially free. “We are looking at a tipping point now that inflation is rising,” said Bill Merz, head of fixed income research at U.S. Bank Wealth Management in Minneapolis. U.S. overnight borrowing costs are in a range of 1.50 percent to 1.75 percent, with traders largely expecting the Fed to raise that target by a quarter of a percentage point next week. The Fed’s target rate has been below its 2 percent inflation goal ever since the 2007-2009 financial crisis. Some analysts cautioned the rate increase would unsettle the bond market by pushing short-term borrowing costs to levels that will make some trades less appealing, such as carry trades using cheap loans to buy high-yielding securities and so-called curve flatteners selling short-dated debt and buying longer-dated issues. “It’s always rising short-term rates that cause problems in the credit and other risky assets,” said James Camp, managing director of fixed income at Eagle Asset Management in St. Petersburg, Florida. Higher short-term borrowing costs would likely have more sustained consequences for traders and investors than a recent spike in benchmark 10-year Treasury yields, Camp said. Three weeks ago the 10-year Treasury yield rose above 3 percent for the first time in nearly seven years, but it has since subsided on trade tensions and geopolitical worries. Several key gauges of short-term borrowing costs are hovering at their highest levels since the peak of the global credit crisis following the 2008 collapse of Lehman Brothers. Leverage, or the borrowing cost to fund a trade, has increased this year from the expected rate hikes from the Fed, less cash for private loans due to the surge in federal debt to finance the massive tax overhaul enacted last year and a two-year budget agreement inked in February. Rising borrowing costs compound losses from owning bonds, which themselves are already losing value in terms of price. Some of the biggest trading houses including Goldman Sachs Group Inc (N:GS) and Morgan Stanley (N:MS) had recorded a surge in trading revenues in the first quarter but said activity should moderate in the second quarter. The combination of Fed rate hikes and more federal borrowing will likely make it less profitable for traders and more expensive for U.S. companies to borrow, analysts said. And last year’s U.S. tax code overhaul has increased the competition for dollars from foreign banks as U.S. multinational corporations began bringing their overseas cash back home, particularly from Europe, at a lower tax rate. “There was pretty easy money sitting in Europe. Now it’s harder to get that cash. They have to raise their rates to get that cash funding,” said Scott Skyrm, executive vice president at Curvature Securities LLC in Gladstone, New Jersey. The London interbank offered rate for banks to borrow three-month dollars had climbed to 2.36906 percent on May 4, which was the highest since November 2008 before retreating in recent weeks to 2.31919 percent on Tuesday. Libor is a rate benchmark for $200 trillion of dollar-denominated interest rate swaps, loans and other financial products. Interest rates on three-month commercial paper, which are short-term IOUs banks sell to investors to raise cash, rose to 2.2 percent, the highest since October 2008. In the repurchase agreement market where banks pledges their Treasuries to secure overnight loans, interest rates have increased to 1.80 percent, up by 0.35 percentage point since the end of 2017. “The short end of the curve is where you have be careful. Leverage is getting more and more expensive,” Eagle Asset’s Camp said.